New to the Wiley Brothers line, is our double-creased, domed dress belt. Made from English bridle leather and solid brass or white bronze hardware, our dress belts go through the same detailed handmade processes as the rest of our products. 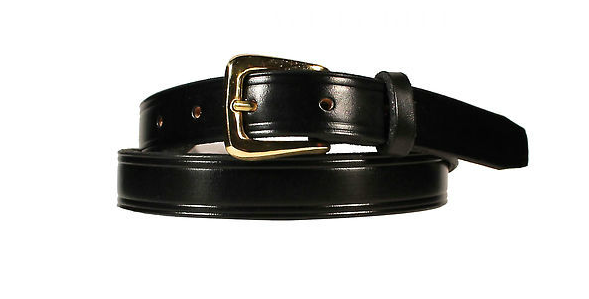 Double-creasing the belt "domes" and tightens the leather producing a clean and elegant dressed look. 1" in width.